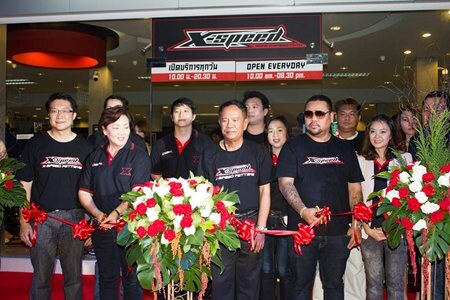 The largest motorcycle-accessory store on the Eastern Seaboard came to Pattaya with the opening of X-Speed on Third Road. Burin Chanragkarnkha, managing director of Mityon Pattaya Co., cut the ribbon on the 10 million baht outlet Oct. 30 with other Mityon executives. Burin said that the new branch of the X-Speed is the first and biggest bike-accessories center in the region to serve customers with a complete installation services, and a complete range of bike accessories starting from the mini bike. (L to R) Burin Chanragkarnkha, managing director of Mityon Pattaya Limited, along with Nipa Chanragkarnkha, Vice Admiral Alangkarn Wichaikul and Purin Krissanawanich jointly cut the ribbon during the grand opening event. 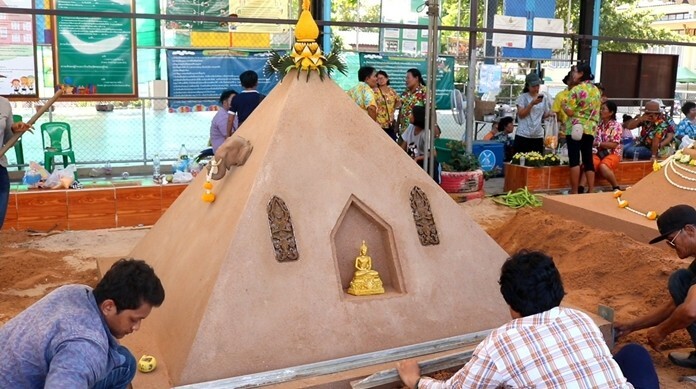 The shop utilizes 300 sq. meters of space for service with comfortable waiting areas for customers. The services include bike personalized modification design, sticker design, sticker installation, made to order body parts, selling a completing range of bike accessories from both domestic and international markets, helmets, jackets, gloves, head masks, sleeves, knee/elbow armor and more. 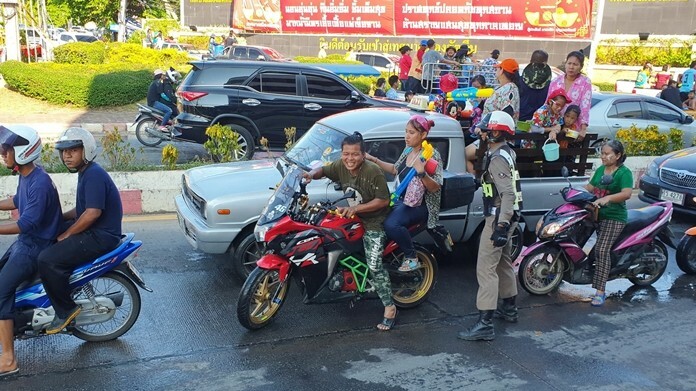 At the event, food and drinks were served, games were played, rewards were given, and there was a show from models washing bikes.